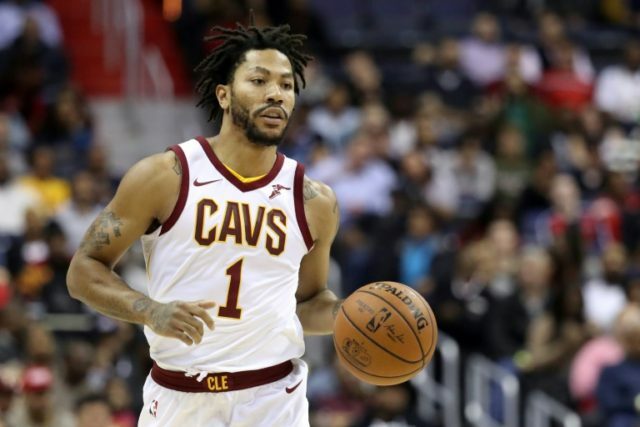 Los Angeles (AFP) – Derrick Rose will attempt to reignite his career with the Minnesota Timberwolves after signing for the franchise on Thursday. The 29-year-old former Chicago Bulls and New York Knicks player arrives at Minnesota after an unsuccessful stint with the Cleveland Cavaliers this season. Rose was traded by the Cavs in February and landed at the Utah Jazz before being waived shortly afterwards. “The Minnesota Timberwolves today announced the team has signed guard Derrick Rose,” the Timberwolves said in a statement. Details of the deal were not revealed. Rose, the 2011 NBA Most Valuable Player, has averaged 19.2 points in 486 games over nine seasons. Injury disrupted his spell with Cleveland this year, restricting him to only 16 games where he averaged 9.8 points per game.